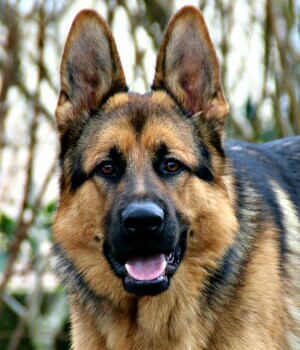 The German Shepherd. Gorgeous, Intelligent and Hard Working. As their name suggests, the hard-working and intelligent GSD originated in Germany and was originally bred as a herding dog. That due to a wave of anti-german feeling after WW1, for a period between 1919 and 1977 the German Shepherd was officially know by a completely different name - firstly the 'Alsatian Wolf Dog' and then just the 'Alsatian'. The earliest GSD's did, in fact, have wolves in their fairly recent ancestry, but the title of 'Wolf Dog' didn't help the breeds popularity so it was shortened to just the 'Alsation' after a short period of time. 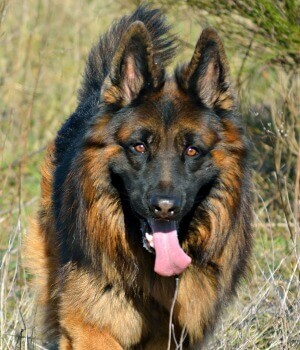 The first officially recognized GSD was registered in Germany in 1899, by the founding father of the breed, Captain Max Von Stephanitz and the earliest specimens of the breed traveled to the UK with British soldiers returning from the war. Due to their stunning good looks, intelligence, train-ability and hard-working nature, this breeds' popularity went from strength to strength and continues to do so. 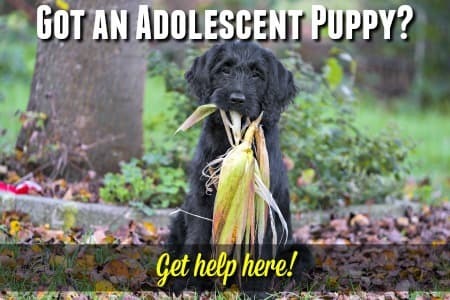 If you've ever owned or spent any time around these dogs, this will NOT surprise you! Coat: Variety of strong rich colors. Most popular is black and tan or black and red, but sable or all black are also fairly common. 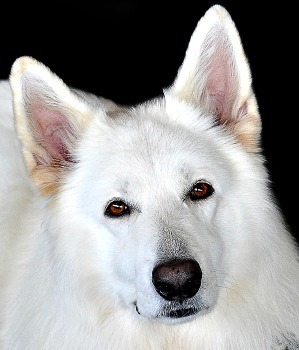 White German Shepherds can be beautiful, but it's considered to be a fault and they're not acceptable by AKC standards. Blue or liver are more rare and are also unacceptable. The coat length comes in either stock (standard short coat), plush or long. Temperament: Self-confident, even tempered and fearless. Grooming: Minimal, daily brushing. Long-coated dogs require more care. Special Needs: German Shepherds are working dogs and love to have a 'job' to do (eg. herding, obedience, tracking etc.). Need a fair amount of exercise, early and ongoing socialization and obedience training. Possible Health Problems: Hip and elbow dysplasia; bloat; epilepsy. GSD's are sturdy, strong, robust, smart and eager to please. They're a herding and guardian breed and that means they can also be 'mouthy' (puppies tend to be dedicated nippers and you'll need to work hard to discourage all that puppy biting), need a lot of exercise and socialization, and can be dominant or bossy at times. 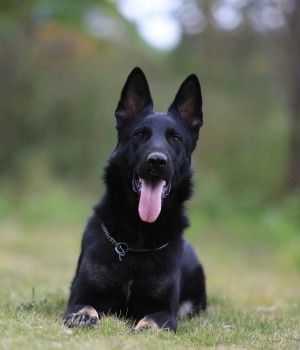 Their work ethic and ability to learn quickly makes this breed first-class police dogs, search and rescue dogs and also helps them score an A+ in obedience work. 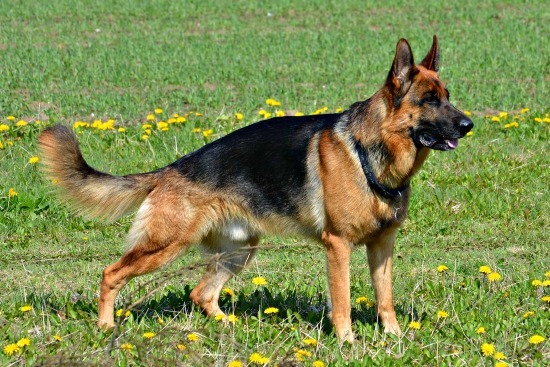 They can also excel in protection work such as Shutzhund and are accomplished trackers. 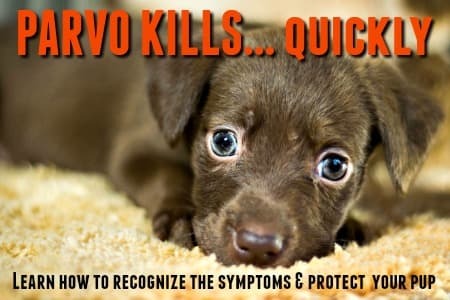 On top of that, and perhaps most importantly for you, they also make a fantastic family companion and loyal protector. A well-bred, well-trained and properly socialized GSD is an all-around star and a truly talented multi-tasker! Although big dogs, they're usually good with children if brought up with them. They may try to herd the kids, but they're not nearly as dedicated to this as many other herding dogs such as Border Collies or Aussies. The nipping can be a challenge though. One word of warning that I would give is that dogs bred from 'working lines' are MUCH more high-energy and high-drive than dogs bred from 'show lines'. Many working GSD's (such as the Border Patrol bloodlines) generally don't make good family pets. They NEED to be working, they need a lot of exercise, and firm handling, and they can become high-strung, anxious and destructive if their needs are not met. 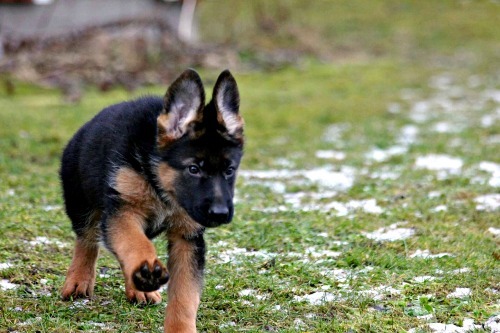 If you enjoyed these photos, hop on over to my German Shepherd Puppy Pictures page. 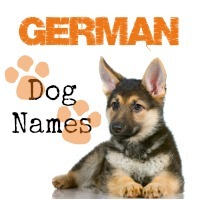 It has tons of beautiful photos of GSD puppies of all ages, colors and coat types.